Tom House is considered by many to be the “father of modern pitching mechanics.” He is the founder of The Rod Dedeaux Research and Baseball Institute (RDRBI) and The National Pitching Association (NPA). The RDRBI and NPA are renowned for their health and performance research and development involving three-dimensional analysis of human movement, physical preparation and training to support rotational athletes in movement, identifying the metabolic requirements of proper nutrition to fuel human activity, and mentoring athletes’ competition with mental/emotional management skills. 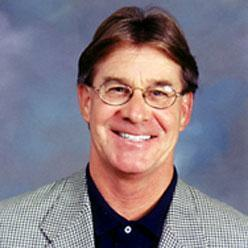 Tom pitched on the professional level from 1967 to 1979 for the Atlanta Braves,Boston Red Sox, and Seattle Mariners. He coached from 1980 to 1997 for the Houston Astros, San Diego Padres, Texas Rangers, and Chiba Lotte Marines (Japan), as well as in Latin America. On the amateur level, Tom is an information and instruction coordinator for numerous baseball academies across the United States and Canada. He directly accesses thousands of players, coaches, and parents per year in clinic settings and travels the world as an international consultant, performance analyst, and sports psychologist. Tom has authored and co-authored over 18 books. He is also an advisor with the American Sports Medicine Institute, the Titleist Performance Institute, and a member of the American College of Sports Medicine.